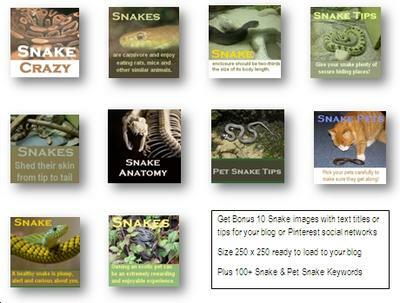 This new set of 5 x Pet Snake PLR article pack is exclusive to here and cannot be bought anywhere else. 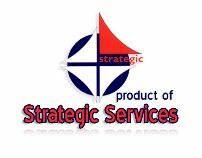 These Pet Snake articles are very informative on the subject and contain a huge amount of relevant tips with 620 to 1092 words in each article! 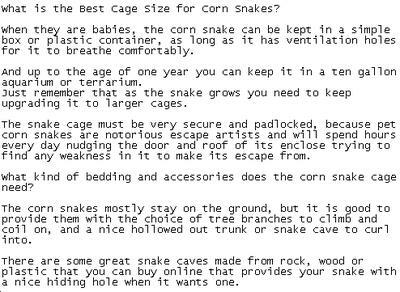 This article pack has five exclusive PLR articles in both .txt and .doc – click on the graphics above for the list of article snake care Titles. You can see a sample section of one of the articles in the images above. Just click on the picture thumbnails above to view them full size. 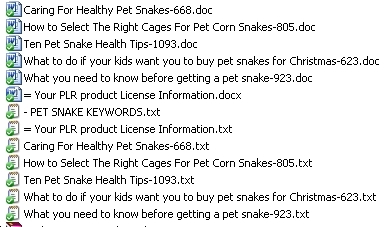 Also included is a bonus pack of exclusive 10 royalty free Pet Snake graphics with titles or snake care tips – Click on the graphics above to see a composite of the graphics included for free. And you also get a list of the top 100+ Pet Snake Keywords that have the least search engine results page (SERP) competition.